An exceptional display of fall color fireworks is coming to the Blue Ridge Mountains—all thanks to the weather. 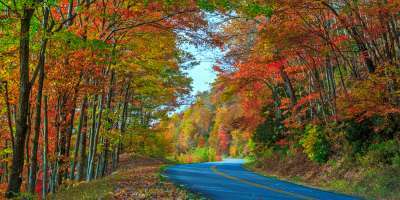 That’s what biologists and climate scientists are predicting for Mother Nature’s 2015 fall foliage display across the Asheville area, home to one of the longest and most colorful autumn leaf seasons in the world. "This fall could be one of the best leaf color seasons in Western North Carolina in recent memory," said Western Carolina University Associate Professor of Biology Kathy Mathews. "Three words explain it—unusually dry weather." NOAA’s National Climatic Data Center (located in Asheville) reports that fall color should be more vibrant than average this year due to below-average rainfall during spring and summer in the Asheville area. According to Mathews the formation of higher levels of (red) pigments in the leaves correlates with dry weather throughout the year, but especially in the months leading up to fall. 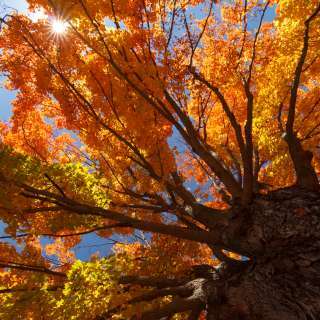 “That’s what causes the leaf colors to really pop, along with the simultaneous appearance of orange and yellow pigments on the same or different tree species,” Mathews said. So what conditions will keep the positive forecast on track? Early signs that fall is on the way are already appearing. “We’re starting to see the very beginnings of fall color, but only sporadically,” said Neufeld. “The sentinels, those early turning species, are letting us know that bigger things are in store over the next few weeks. Burning bushes are starting to turn their vivid red, and dogwoods are slowly turning a deep burgundy red. There are a few scattered sugar and red maples that are turning now, but these the exceptions, rather than the rule. “The highest elevations above 4,000 feet are still very green. Fall colors begin to develop first at higher elevations (which are colder) and then move downhill, about 1,000 feet every 7-10 days later,” said Neufeld. Extreme elevation variations and unmatched biodiversity (including more than 100 species of leaf-shedding trees) combine for an unusually long leaf season in the Blue Ridge Mountains that is rivaled by few places in the world. Microclimates that vary by elevation—and vary from mountain to mountain depending on plant diversity—cause a cascade of peaking fall color that travels down the mountains from late September through early November and is easily accessible from the Asheville area.